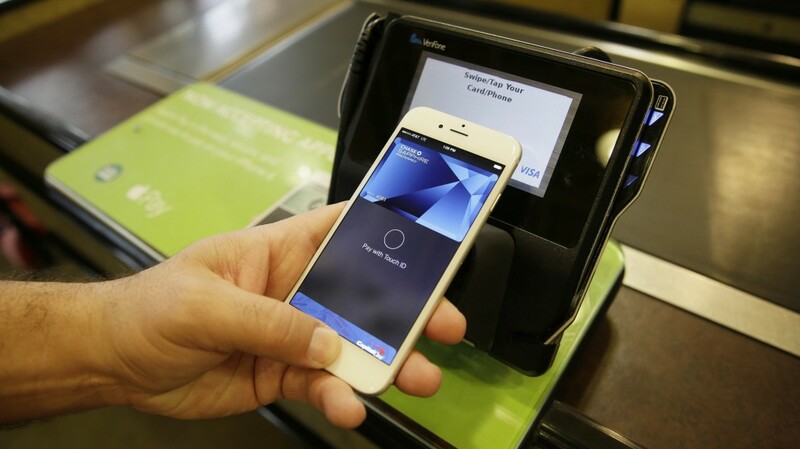 Apple’s new mobile payment system, Apple Pay will be available in the UK next month. If you have an iPhone6 or an iPhone 6 Plus or an Apple Watch then you can use your Apple device to pay for goods and services. Let’s take a look at how the new service will work. Apple Pay uses contactless payment technology, the same as that used by contactless card transactions, which means you can use your iPhone 6, iPhone 6 Plus or Apple Watch to pay for items without needing your purse or wallet and at all the places that currently accept contactless payments. The Apple devices mentioned above have built-in security devices so all you have to do is either hold your iPhone 6 or 6 Plus smartphone close to a contactless reader holding down your finger on the Touch ID sensor to make the transaction which is confirmed by a beep and vibration. If you have an Apple Watch then you simply hold your Apple Watch so the display is near the reader and double-click on the side button. You can set up your Apple device ready for Apple Pay by putting your credit or debit card details into your Wallet. You also need to ensure that your credit or debit card belongs to a bank signed up with Apple Pay. Most of the major banks in the UK will be ready in time for the UK launch although Barclays have yet to come on board and other banks including the Bank of Scotland and Lloyds Bank will not be on board until later on this year. Over 250,000 shops and businesses will be able to support Apple Pay from next month’s launch. These include high street chains such as McDonald’s, Nando’s and Pret a Manger. It will also be possible to use Apple Pay to buy tickets and services on the Transport for London network. Similar to contactless card payments, for security reasons there will be a maximum limit of £20 per Apple Pay transaction which is set to increase in September to £30. However shops and businesses have the option to install technology which means that higher value payments can be made using Apple Pay along with other biometric data. f you are paying for items via an app, then Apple Pay can also be used for in-app payments. The new iPad Air 2 and iPad Mini 3 are also compatible along with the iPhone 6 and 6 Plus. Companies with apps which will allow Apple Pay for purchases via their apps include Argos, EasyJet, lastminute.com, Ocado and Topshop. So will you be using Apple Pay? Or do you think you’ll stick to cash and cards?